Promoting my own material runs completely counter to my natural inclination and seems to fly in the face of Christians sensibilities. This is one area that I wish I could forget about. Nevertheless, I occurs to me that there ought to be a difference between me and my work. As a Christian I believe that I am saved by the grace of God through the sacrifice of Jesus Christ. This is true despite the fact that everything I do is not good. Even when I do accomplish a good work it is not by my wisdom, strength or power but by the grace of God. I am capable of no good thing apart from Christ. So, if any bit of my work is good it is because of the blessing of God. It did not come from me. The glory does not belong to me. My work, be it good or bad, is not my possession, like a lamp, but a living thing, like a dog. I can train it. I can send it in a particular direction. I will receive the blame if it digs or defaces my neighbor’s property. But if it should chance to save someone it will not be me that everyone will talk about. Rather, it will be that something so unexpected managed to do a great good. Once the words are sent out into the world. They have a life of their own. If I modestly promote the words it is not myself that I draw attention to. The words are about what God has done. They are words that He has given. They are tools to share His love. I love the way Johann Sebastian Bach dedicated his music. He wrote, “Soli Deo Gloria/S.D.G.” or “To the glory of God alone.” I can invite others to come and see what God has done. Stop and reflect on His amazing grace. See His hand print in beauty everywhere. Marvel with me at His incredible love. Share with me the wonder and awe at God, our Creator, Redeemer and the Giver of all good gifts! This post is part of a series On Being a Writer, by Ann Kroeker and Charity Singleton Craig, hosted by Kate Motaung. I really need to remember this. That my work will bring glory to God and not me. I hate marketing, so I don’t do it much. But when the work it right and maybe at times when it is not, God will be glorified and I should want to make his name great. I am enjoying your posts on writing and may go through this course myself sometime. Thank you for your kind words. Thank you also for the note about the lack of title. I have been struggling so hard to work the blog with unreliable internet service. 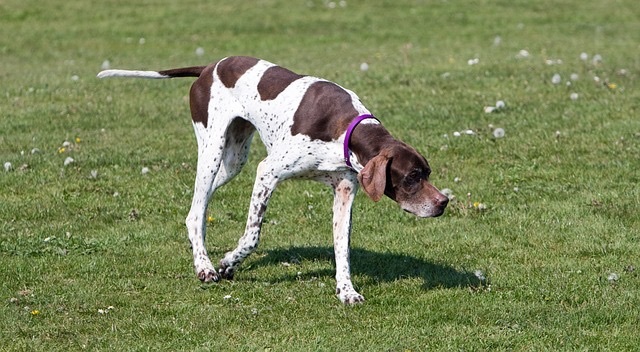 This morning the pic I choose of a pointer dog would not load, even after fussing with it for an hour. I gave up and published without noticing the missing title. Thanks for the patience while I remodel the site. I didn’t even notice that about the title! I love your site. It always has a warm and welcoming feel to it. I need to visit it from the computer to see your updates. I like your post, and love your description of words as “tools to share God’s love”.